Happy Friday! I hope you all had a wonderful week! Since the inside of my house is a mess right now with all of the painting, I thought that I would start some decorating outside! I had these hanging planter boxes from the summer and transformed them for my fall porch. To decorate things for Christmas, I just turned them around and added some vinyl lettering to the front. After a quick nature walk to pick up some greenery and sticks, they were all ready to go. I sprayed the sticks with spray adhesive and added some epsom salts to them and had the snowy pinecones from last year. I used florist’s foam in the first basket to hold the branches but I found that good ol’ dirt worked just as well. I will be finishing off the rest of the front porch tomorrow in between painting and waxing. Stay tuned for the finished results next week. And hopefully I will be able to start to work on a little Christmas magic inside the house too! Ohhh I like. Nothing screams Christmas more then evergreens and dead branches. So pretty and festive! Would love it if you linked up on my blog hop http://www.w-t-fab.com/search/label/bloghop. Also let me know if you’d like to follow each other! Hi, I’m Moni from Zu Haus at Home, had to stop by and tell you how much I love your planter box…so peaceful! 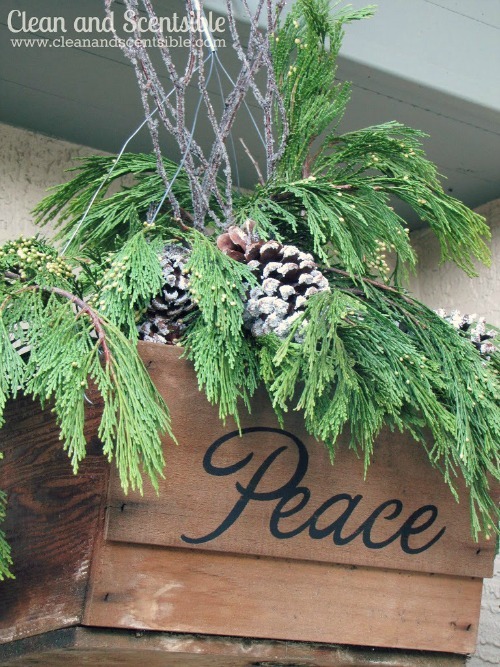 Your planters are so festive and beautifully decked out!!! What a great idea to spray paint the twigs and add epsom salts! I’d love you to share these at TUTORIALS TIPS AND TIDBITS. Link goes live tomorrow at 8:00 pm! So pretty! Love everything about it! Wow! Very Pretty! Happy Thanksgiving! Looking forward to seeing you at My Dream Canvas! I would love for you to see my centerpiece at my Thanksgiving table 🙂 Visiting from Savvy Southern Style! I am following you now. 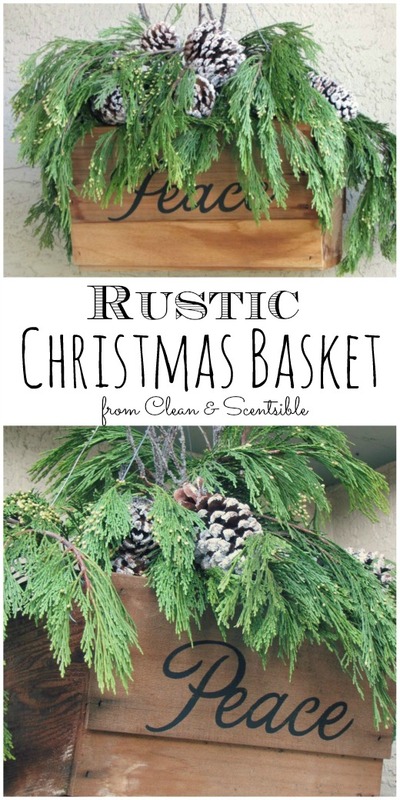 I adore this idea …but will use my rustic basket indoors, instead! Thanks for sharing your talent and creativity with us! Good luck with your current projects! Visiting from Yvonne’s @ StoneGable! 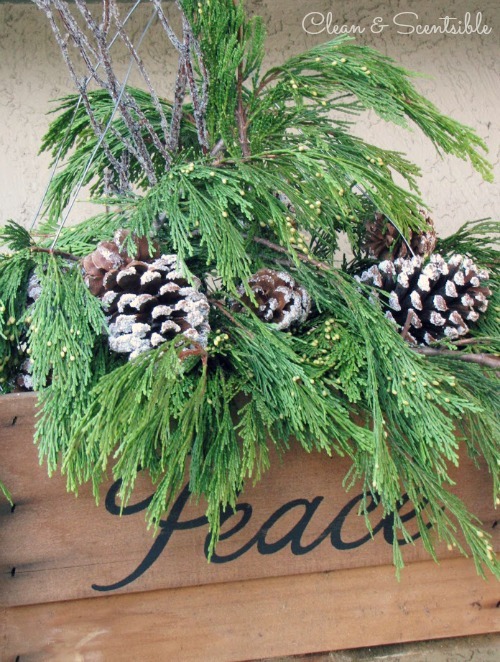 What a beautiful winter basket you’ve created–I love the wood tones against the greenery! Very pretty. Lovely basket! I’ll bet it smells great too! 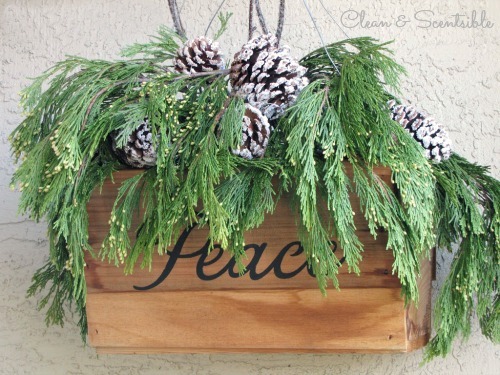 I love using fresh greens to decorate outdoors at Christmas! Beautiful hanging basket! Love the greenery. Sorry your painting projects took long than expected…that does happen! Are those cedar branches? I’m wanting to do some decor with cedar but I wasn’t sure how it would stay pretty. 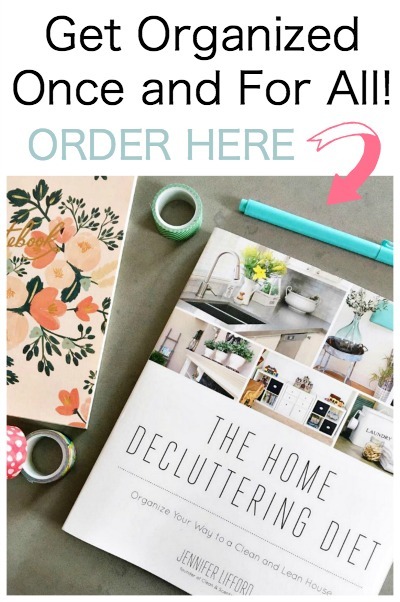 Please come share this at my link party! i just love those greens. wish i had something to just snip snip from! Lovely! I don’t have any evergreens in my yard (but my neighbor does)–well, I just may have to ask for a few snips. Gorgeous inspiration! That’s really lovely. I’m curious to know how you added the stamp with the polka dots and words, if you don’t mind telling. This is very pretty, well done. Found you over at Happy Hour. Just beautiful! Simple and elegant and so lovely. Thanks for sharing it at Inspiration Friday!